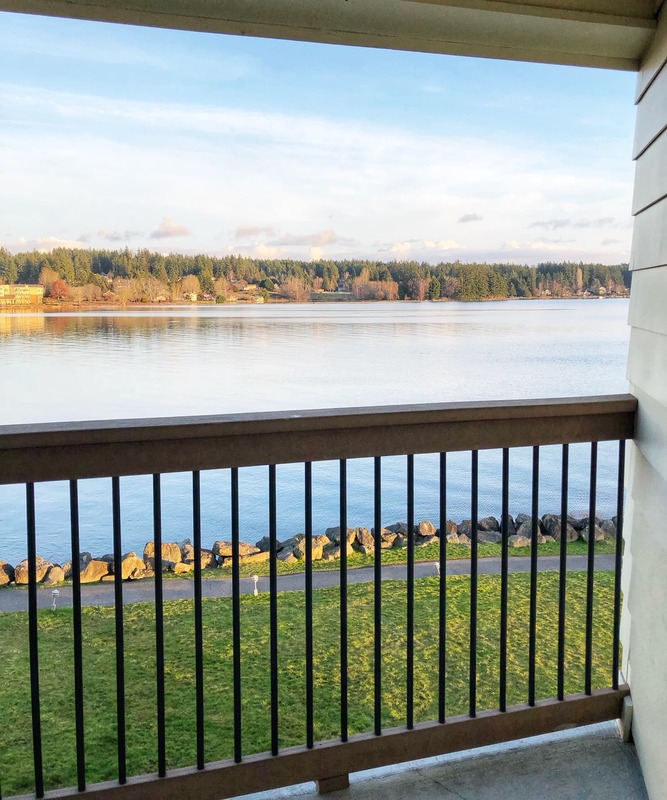 If you are looking for a short getaway in the Northwest that is super budget friendly, and on the water, you might want to consider this spot in Silverdale. You can get a waterfront room, some some extra amenities for a great price. I have been seeing this deal for a while, so I wanted to check it out myself, so we could review it for you and let you know what you can expect. 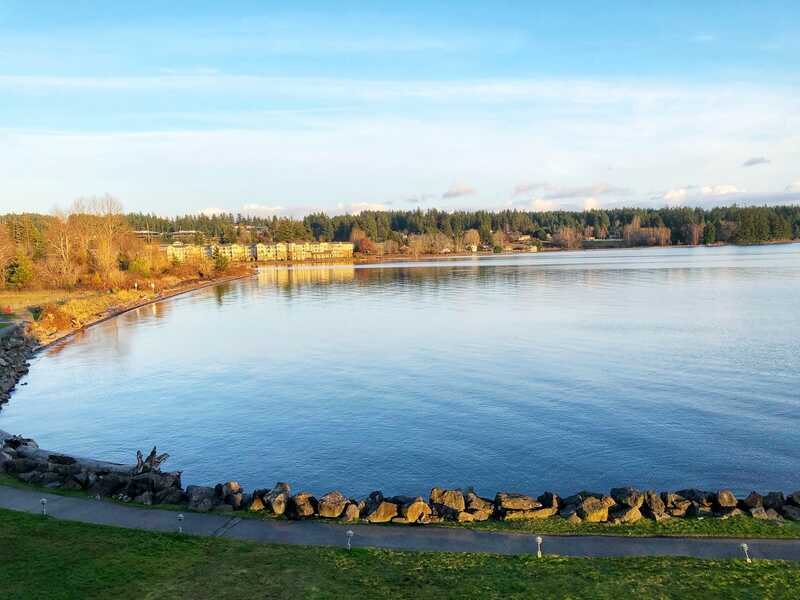 Groupon often has a deal for the Best Western Plus Hotel in Silverdale. You can generally find rooms for around $81. We used a promo code, and got 10% off that price, and ended up paying $85 (after taxes) for our room. This offer comes with 2 free breakfasts in the morning (a $10 value). 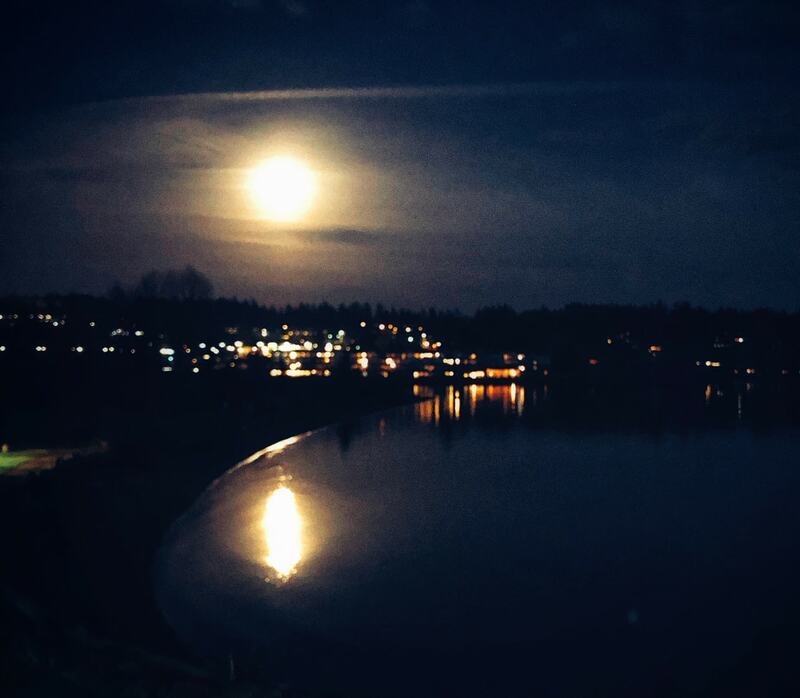 The Best Western Plus in Silverdale, sits on the Dyes inlet, so you are able to get waterfront rooms as super prices! There were great walking paths, beautiful sunsets, and views you cannot usually get for these prices. The room we got with this offer was a waterfront room. This was our view from our room. It looked like most of the rooms will have a waterfront view. 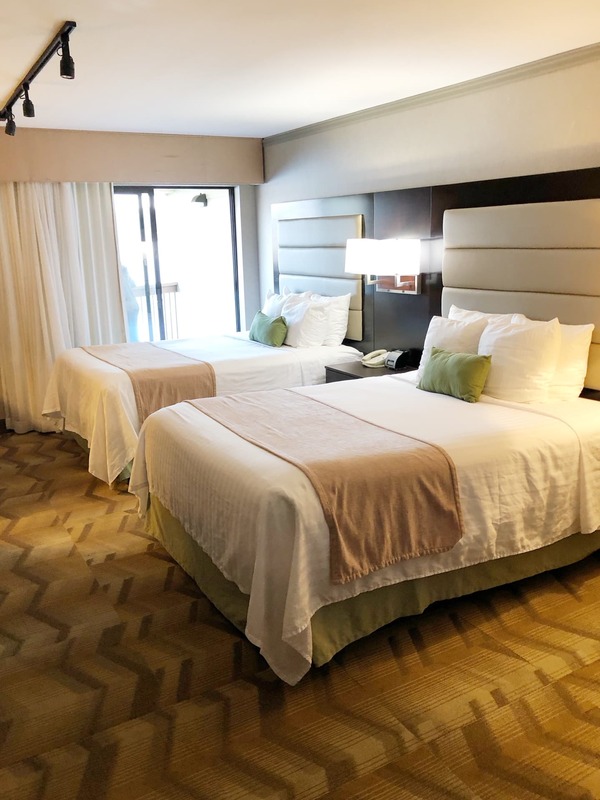 There is a parking lot side that would be no view, as well as a parking lot side that has a view that looks over the parking lot and then a smaller water view from there, but they put us in this beautiful water view room with our Groupon purchase. The room itself was spacious, and had plenty of space for two adults and two kids. This is the two queen bed room with waterview that we purchased off of Groupon. The rooms do include a small fridge, and a microwave, if you want to save on food. We ate out for lunch, and then brought back our leftovers, and a basket of snacks and made that work for the night. 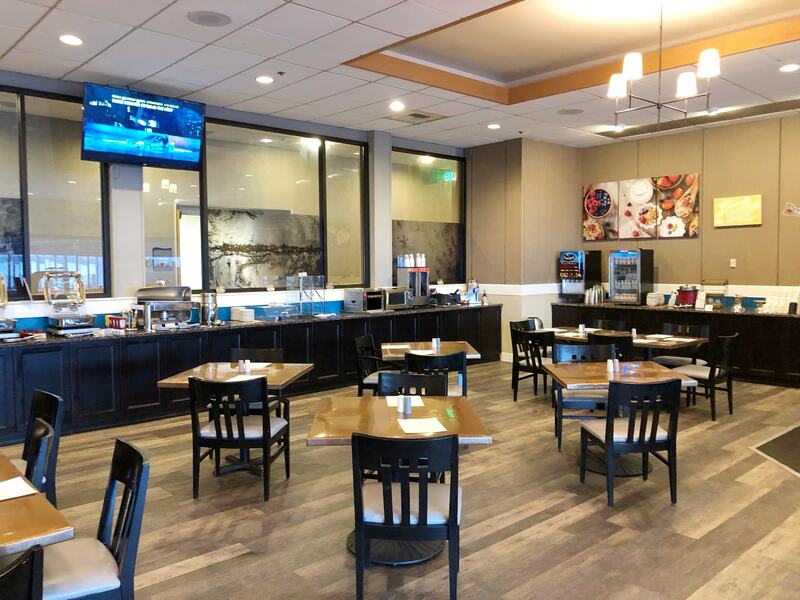 There is a restaurant onsite, and a handful in walking distance too (like a Hop Jacks and Taco Time in parking lot, an iHop and Little Caesar across the street and more nearby). There are plenty of options in the area to eat for cheap, or enjoy a nicer meal. It is a Best Western Plus, and was the quality of hotel you would expect for this chain. We found it to be very comfortable for the price, and plenty to do! Our deal on Groupon came with two free adult breakfasts. The wording is a bit confusing, as it states that two kids 12 and under stay free, but that does not include their breakfast. You get a voucher when you check in for 2 free meals, and then the kids are $3.95 each if you want to purchase their breakfast meal (or $5 each for any extra breakfasts for those over 12). So, it is still a pretty good meal. It was a buffet style breakfast with eggs, bacon, biscuits and gravy, toast, waffles, oatmeal, cereal, coffee, juice etc. It was a pretty typical hotel hot breakfast buffet (standard hotel food, but a good deal). 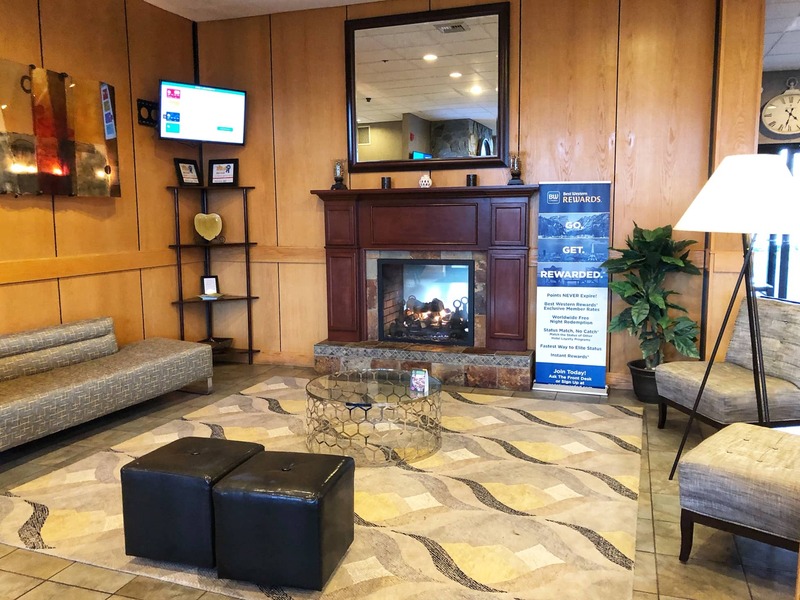 The hotel itself has a couple of main lobby seating areas with fireplaces, and they serve complimentary cookies in the afternoon (and there is a small area where you can get complimentary coffee, tea and water too) if you want to enjoy an afternoon snack. Pro Tip:: request a late check out. Check out time is at 11am, but they extended ours to 12pm free of charge. 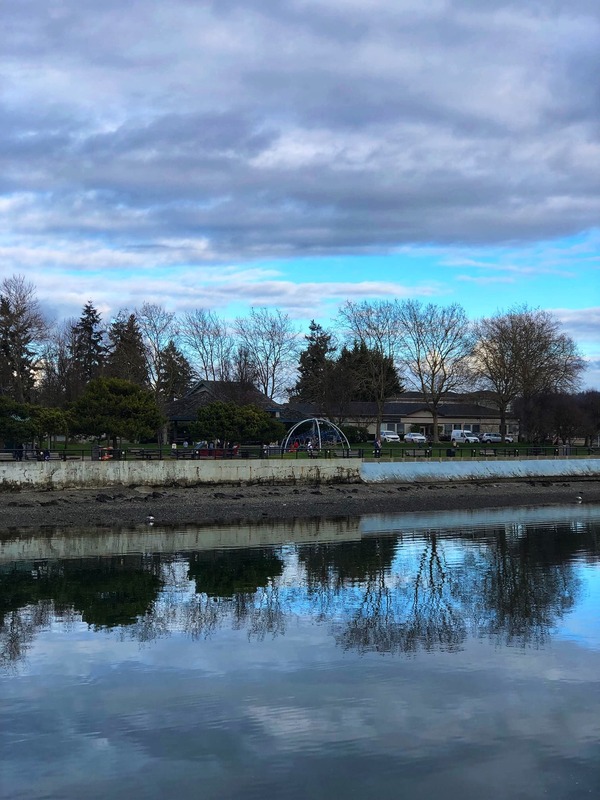 If you want something later then that you will have to pay a fee, but 12pm was more then enough time for us to enjoy breakfast and get packed up and out of there (while still enjoying a nice walk to the Port of Silverdale and that park – see below for more details on that). The hotel actually had some nice amenities for families. 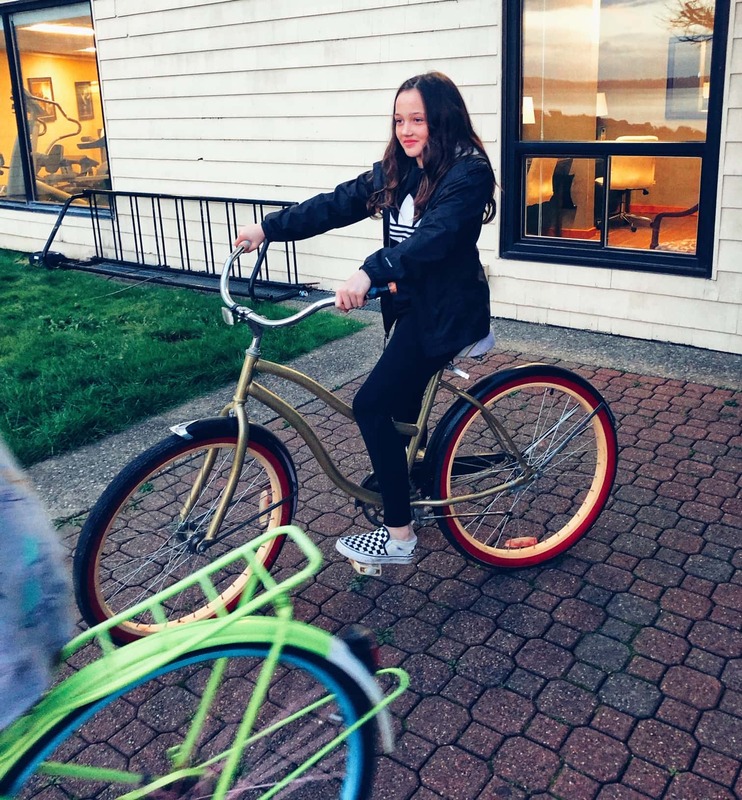 It used to be the Silverdale Beach Resort, before Best Western took it over and did some renovations, and there are some perks you could get from the Silverdale beach resort that are still available, but not advertised on the Best Western site, like complimentary bike rentals! What we found is that they do not have that many bikes (we were only able to get 4, and that included one kids bike), and they were not in great shape (we did start with 5 but one had a flat tire) but still my kids loved going on bike rides on the miles of trails they were able to access in front of the hotel. We made this work by letting the kids and one adult ride a bike, and the others walked. To get the complimentary bike usage, just request it at the front desk. The Clear Creek trail provides miles for you to walk, or ride bikes on, and can be accessed right from the hotel. 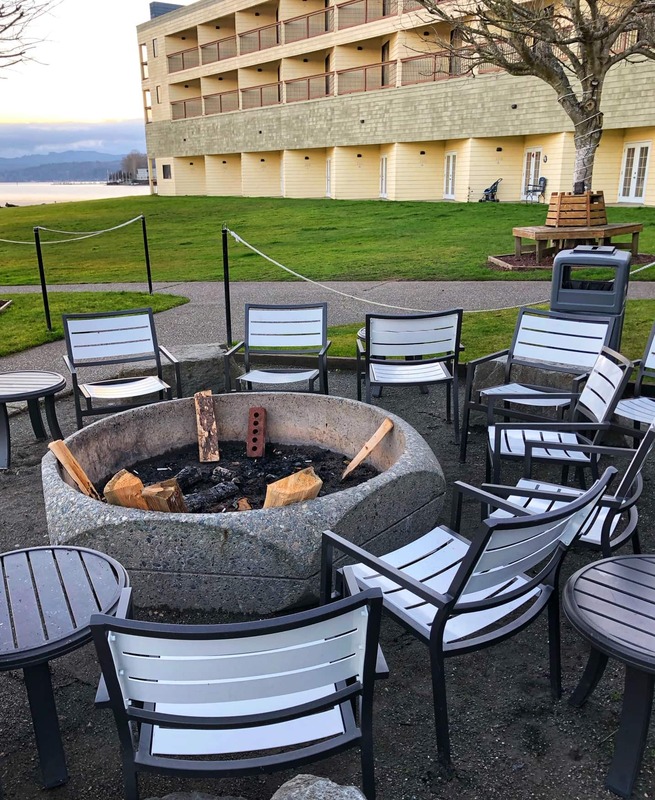 In addition to the trail, the hotel sits right on the Dyes Inlet, providing beach access right from the hotel. When we arrived in the afternoon, the tide was in, so there was not much beach access, but there were beautiful water views. 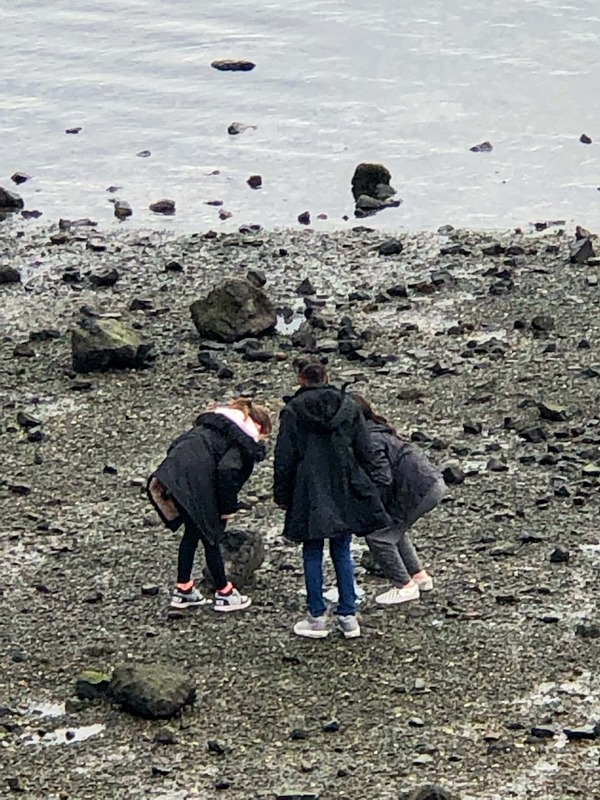 By the next morning the tides where out, and the kids were able to hunt for crabs and run along the beach. The kids enjoyed the pool in the evening. If you’re able to enjoy it in the afternoon, it seemed much less crowded then it was during the evening time, when many families with kids enjoyed some pool time. We found the pool to seem nice and clean, but I was not as impressed with the hot tub (it was yellow in color, so I did not let the kids get in that). They were happy enough with the pool, so we stuck to that for evening fun. The pool area has windows that look out to the inlet, so it was a great place to enjoy all day. 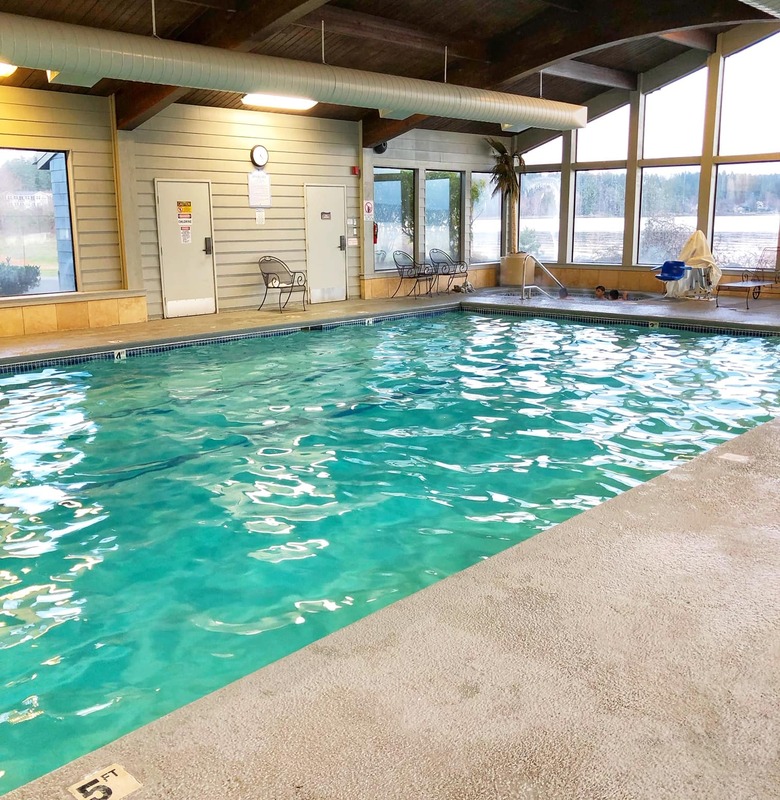 To access the pool you go to the basement level, where you will also find a sauna. 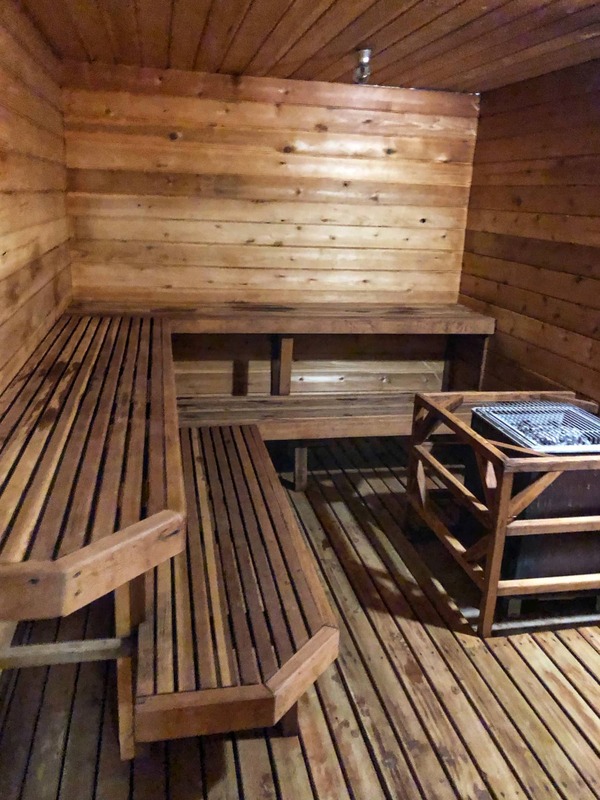 My kids enjoyed about 20 minutes in the sauna after pool time, to dry off and stay warm. I can see how the property would be even nicer to enjoy in the summer. There is this nice grassy area and fire pit that would be wonderful to hang out at when the weather gets nicer. This was our view from our balcony at night. We actually ended up being there during the last blood moon eclipse in January and were able to watch it all happen right from our balcony. It was pretty spectacular and I could not believe we paid just over $80 for this view! One con was that they did not have chairs on most balconies, but we just took our desk chair out in the evening and made a place for grandma to sit, then we were able to all watch it together. 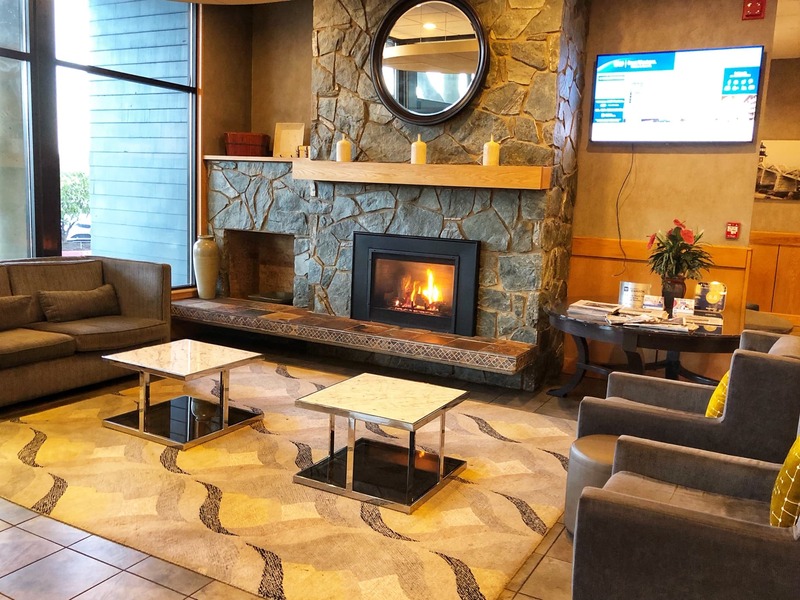 Find more details on the Best Western Plus in Silverdale deal here. 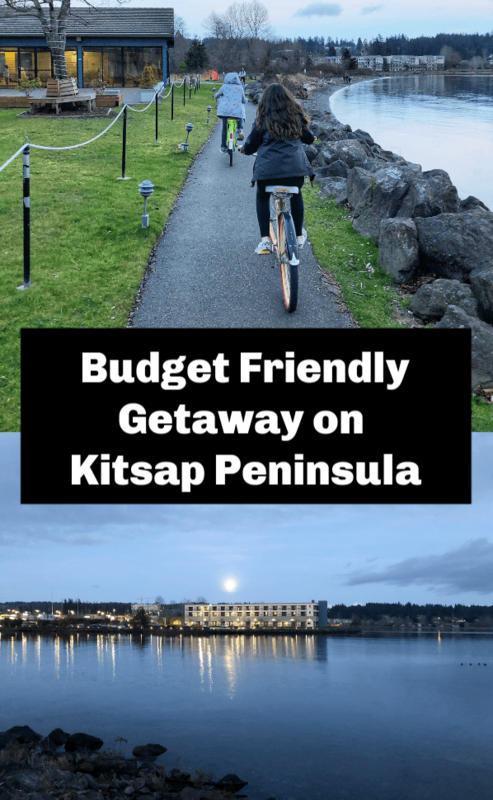 There were a number of things for us to do right in walking distance, but there are also some great small towns to explore just a short drive away. It really makes a great base camp for a pretty cool weekend trip. As we mention above, there is a nice walkway that you can access right from the hotel. 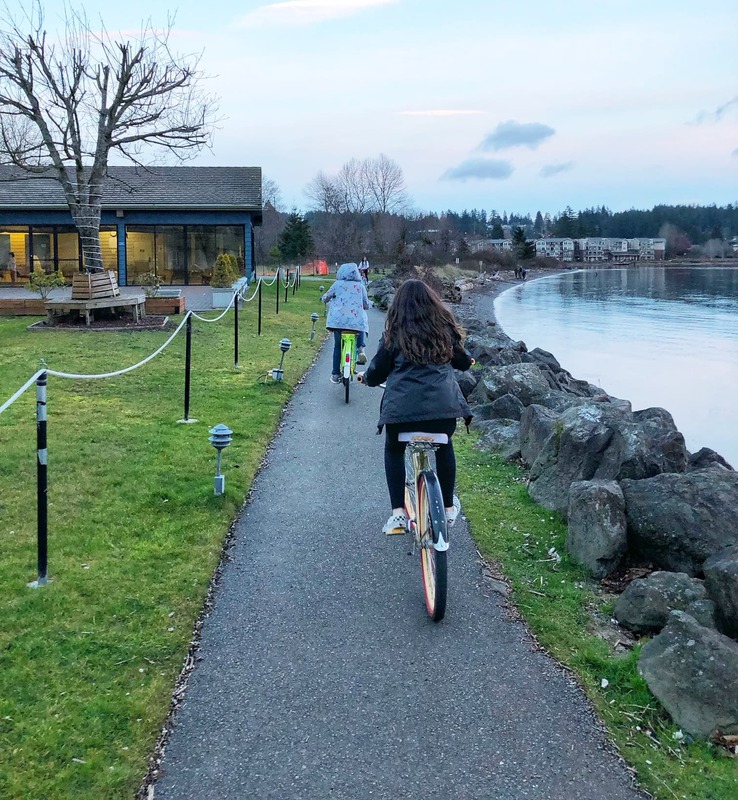 You can walk up towards the shopping or take it the other direction towards Old Town and the Port of Silverdale, where you will find a dock you can walk out on, or let the kids play at the park. We saw these two Eagles at the top of a tree along the walk towards the port. 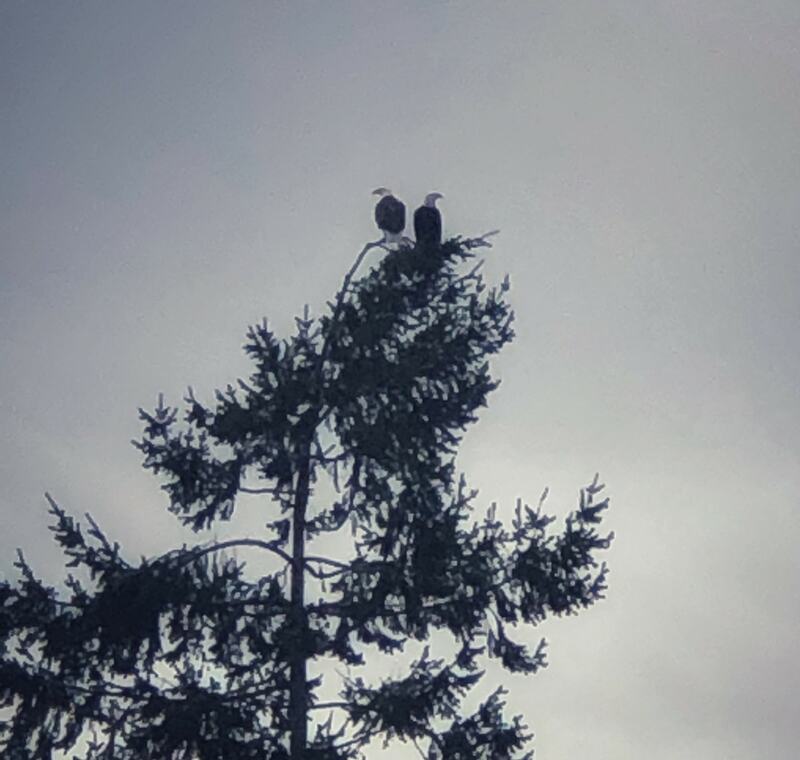 It is not often you see two Eagles together like this, so we stopped and enjoyed the sight for a bit. 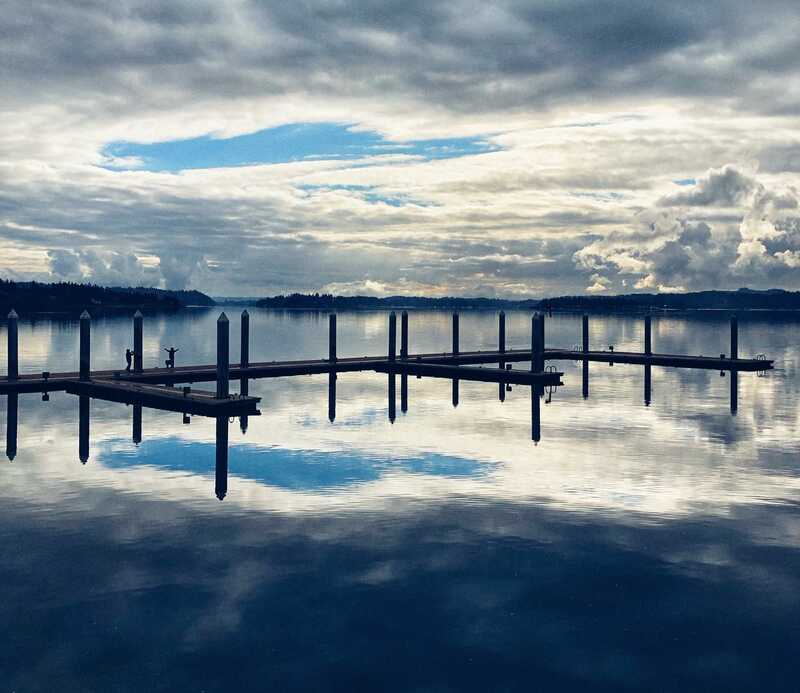 There is a dock you can walk out on, that leads down to these boat docks, if you want to get out on the water for some great pictures. 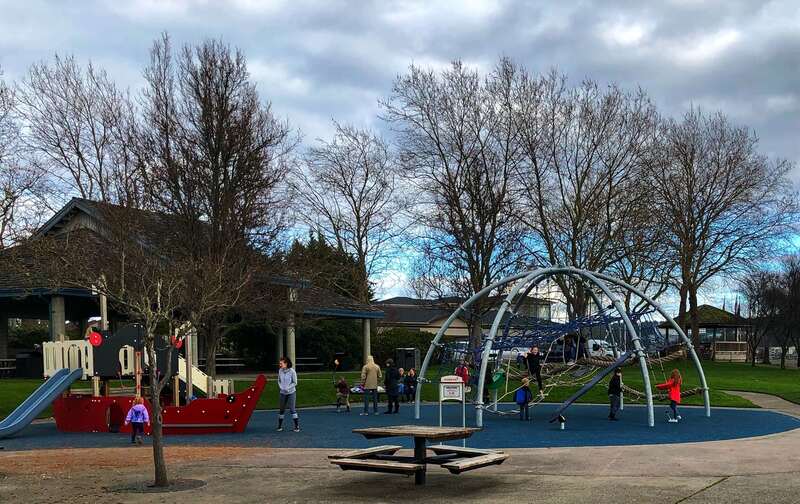 Here is the park for the kids to play at and enjoy. And some fun old buildings to check out along the way too. We even found a small yarn shop that the kids were able to go in and pick out their own yarn to do some crocheting on the drive home. That was a great way to keep them quiet for the car trip! 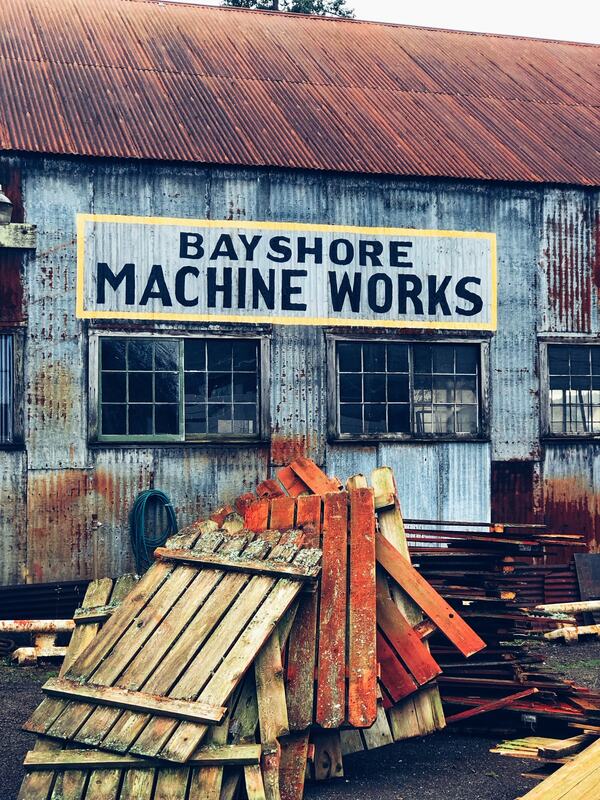 The Silverdale Mall is right up the road to. There is plenty for kids to do in there (trampoline, small arcade, and they had archery going on while we were there), plus a movie theater in town and lots of restaurants to choose from. 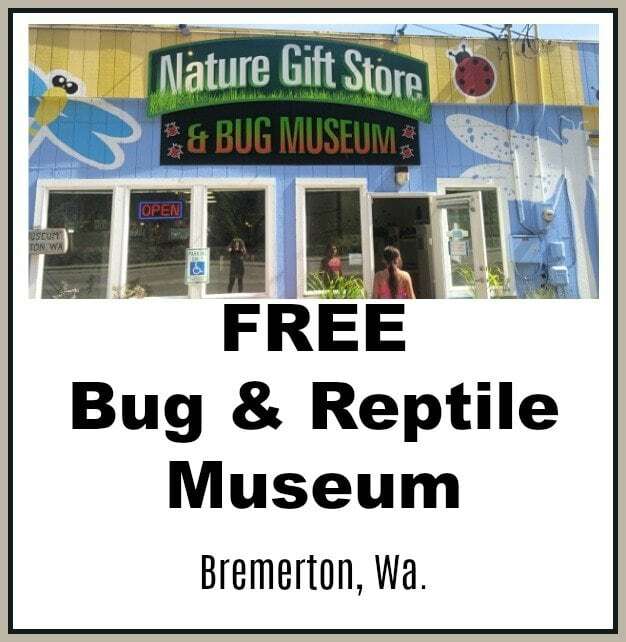 The Bug Museum is nearby, and free, and lots of fun for kids to explore! 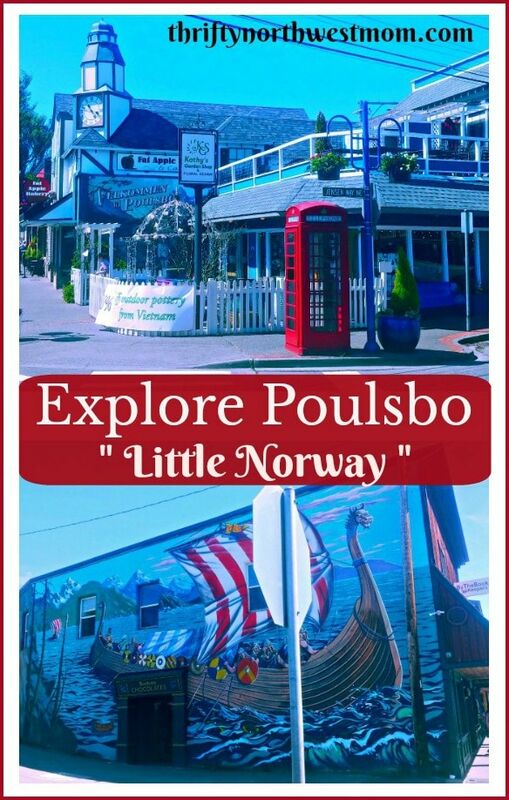 Explore Poulsbo (Little Norway) – its about 10 minutes away. We share a review of this small town here. If you have not been before, it is a fun day trip for all ages. 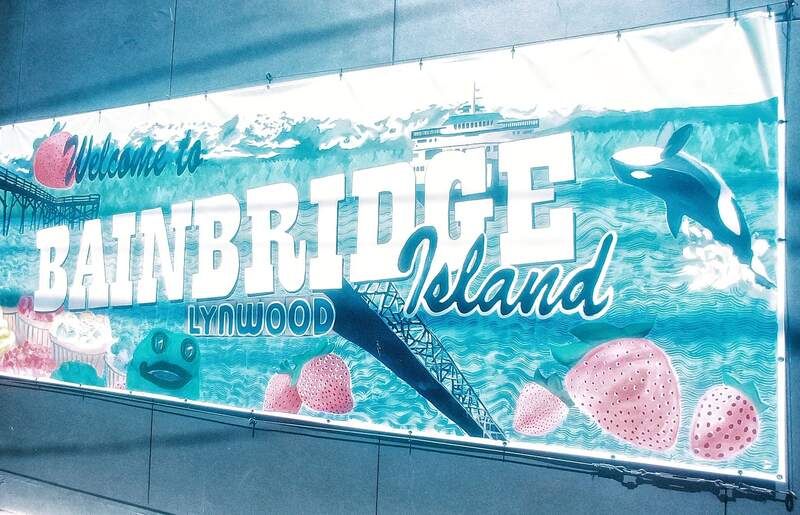 Explore Winslow in Bainbridge is about a 15 minute trip, and has a kids museum, lots of shops and restaurants, rock climbing and more. 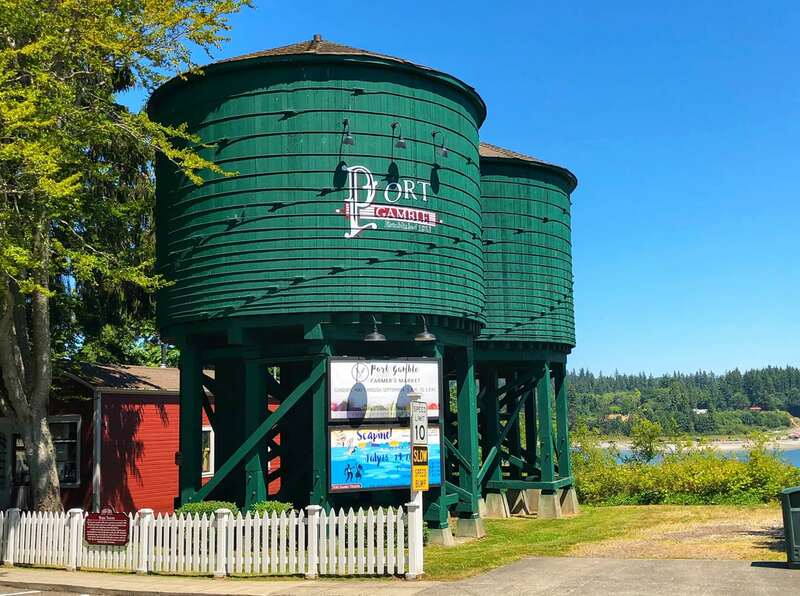 Port Gamble is about 20 minutes away and is a historic town with a few restaurants and shops to enjoy. Find the Groupon offer for this hotel here. If you want to spend a little bit more, the Oxford Suites is another hotel that is next to this one. The hotel itself looked nicer, but the water views were not quite as nice. The rates at this place are a bit more, but it still looks like a fairly affordable hotel. 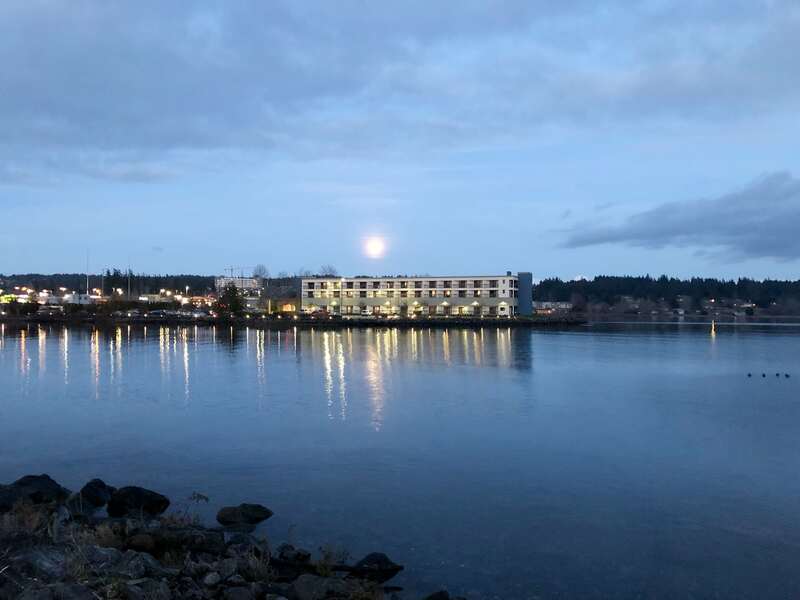 Down the road, past Poulsbo is also the Clearwater Casino and Resort, and that is one we really enjoy too (great pool) and also right on the water. 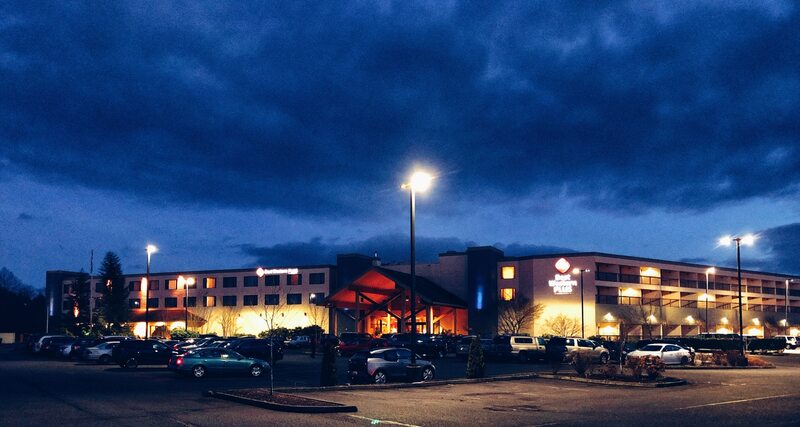 Find all of our Northwest Getaway Reviews here.